On this page, you will find all there is to know about the Software updates for Minecraft: Wii U Edition (released on December 17th 2015 worldwide). NB: since this page was created on January 31st 2017, we’re only listing updates released from that date onwards. Looking for details on updates for Minecraft: Nintendo Switch Edition? Click here! The Update Aquatic will be the last major update for the game! 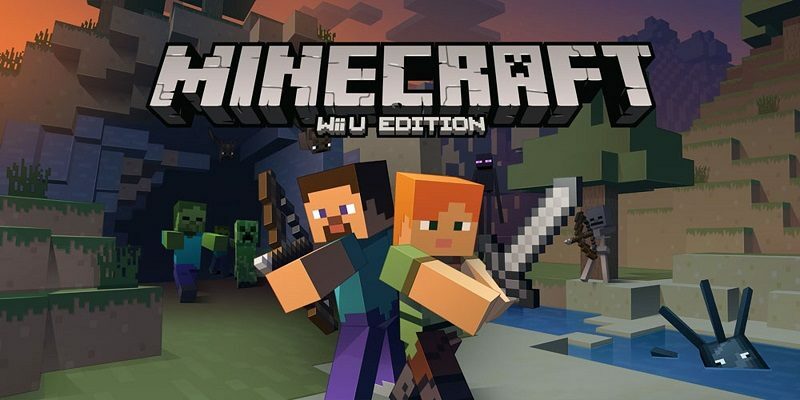 How to update Minecraft: Wii U Edition for the Wii U? if not, you can launch Minecraft: Wii U Edition from the Home Menu (important: not the Quick Start Menu, as it bypasses update check! ), while being connected to the internet, in order to trigger the download manually. Just wait a few minutes, and the update will be downloaded and installed. Fix for Crash that can occur for Client Players when a Sticky Piston moves a Slime Block attached to another Sticky Piston. Fix for Auto Jump not allowing players to stay underwater. Fix for the Players head rotation while in a minecart. Added From the Shadows Skin Pack. Fix for MCCE #7918 – Seagrass not spawning in Rivers and Swamp biomes. Fix for MCCE #7923 – Mushroom remain floating when their supporting block is destroyed. Fix for MCCE #8011 – Water Dispensers do not pick up water from a waterlogged block, instead they fire out the empty bucket. Fixed a bug where Endermen weren’t teleporting upon taking damage directly from Players. Additional notes: this update is required for the last DLC pack. Click here for more details! Additional notes: for more details about the save data transfer and the DLC, check out this post! Additional notes: this update is required for the latest DLC packs! Click here for more details. Fix for Horse armour not appearing on horses that don’t have markings. Additional notes: still cannot launch the game after installing this update? You have to contact Microsoft / Mojang support, then. Additional notes: this update is required to get the latest DLC. For more details about said DLC, click here! Added Pick Block – This is unassigned by default. Added Iron Nugget item. You can now smelt Iron and Gold armour into nuggets. Added Concrete Blocks – 16 Different colors! Fix for MCCE-3984 – Enderdragon is able to use an End Gateway. Fix for MCCE-4226 – Wrong LOD showing for non-block item icons in the UI. Fix for MCCE-4227 – Nether portals sending players to the wrong portals. Fix for MCCE-4321 – Player may fall through the block below them when jumping in a confined space e.g small tunnel. Fix for ‘Hit’ tooltip not benig displayed when Player targets crosshair at a Polar Bear, a Creeper or a Squid. Stop End Crystals exploding when “TNT Explodes” is disabled. Fix for a crash that could occur on a client if the host exited the game. There schould be a Bedwars minigame for the Minecraft Wii U Edition. – sharks, giant boss worm runn!!! Apparently they cancelled Wii U :( I hope they still update and release Wii U games! it’s still updating, they’ve got almost 14 million owners to please!